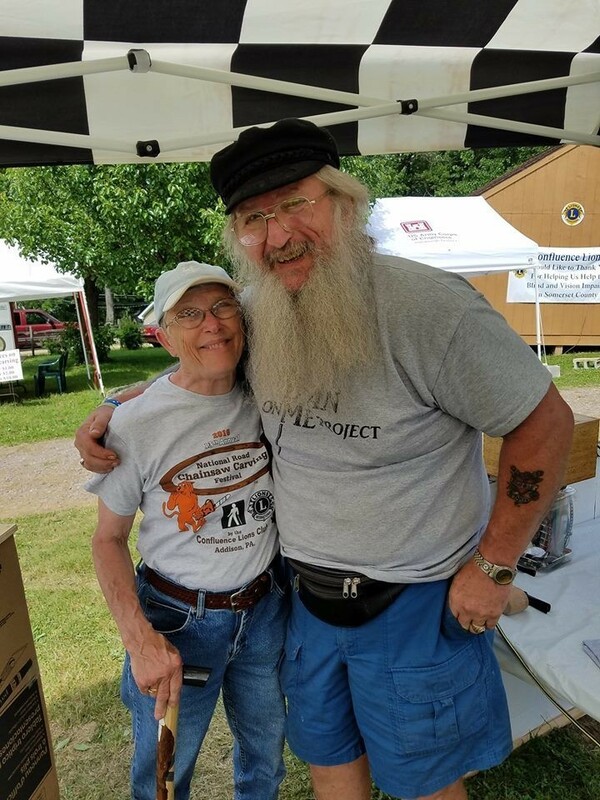 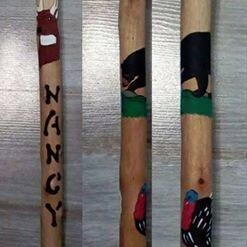 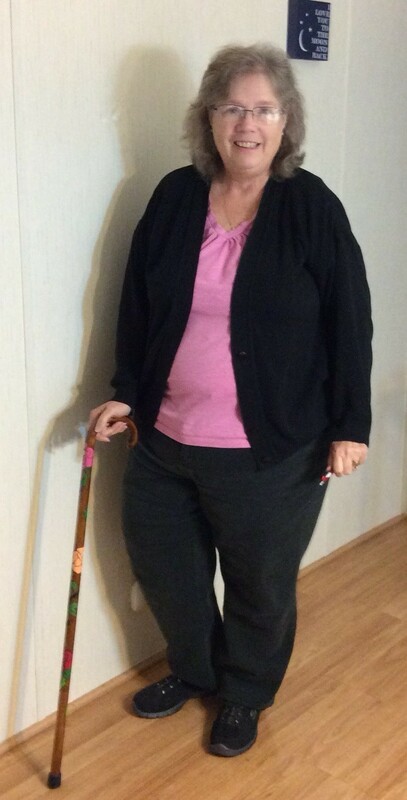 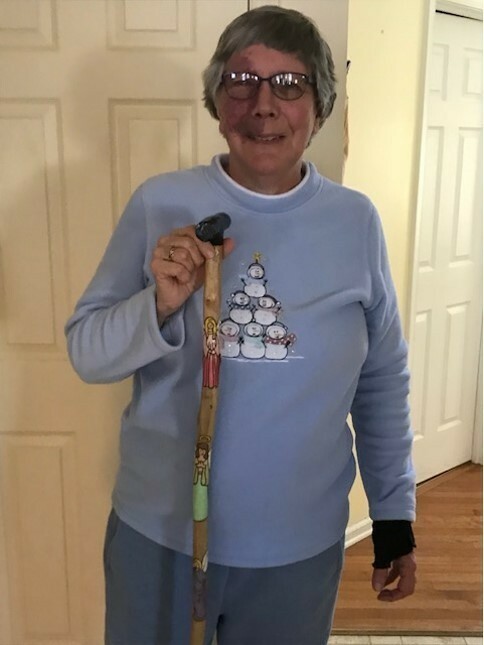 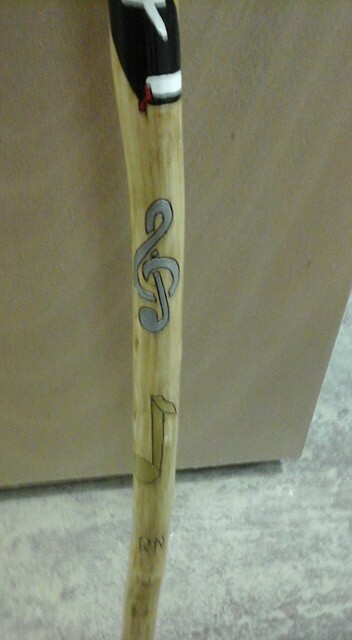 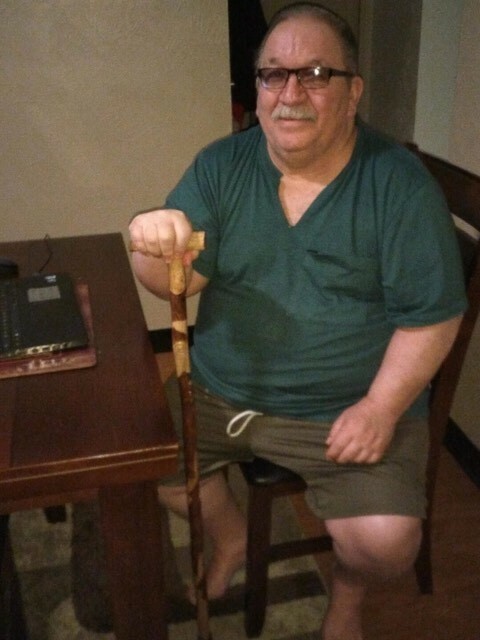 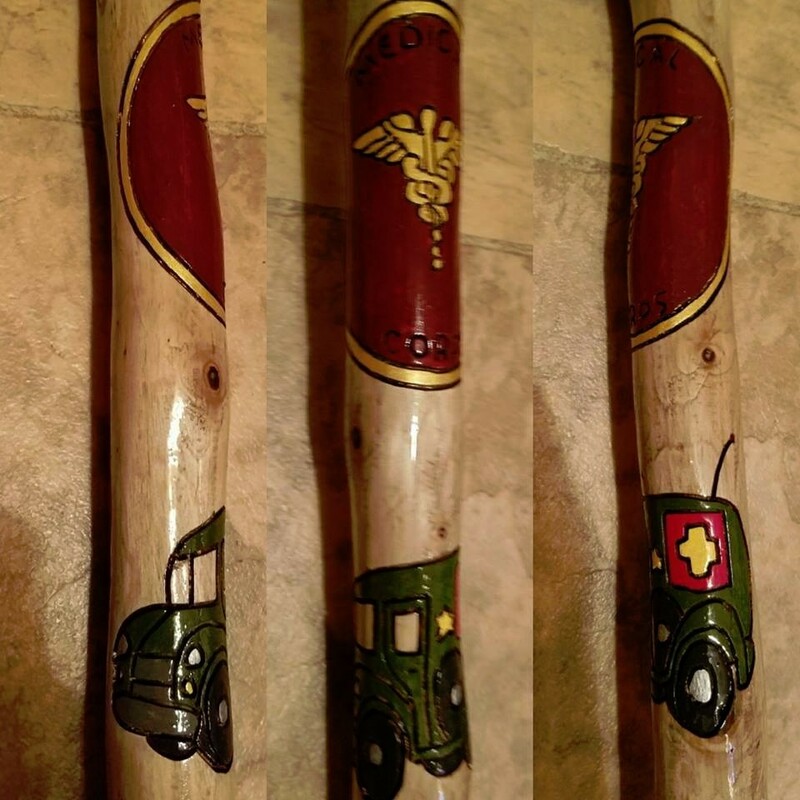 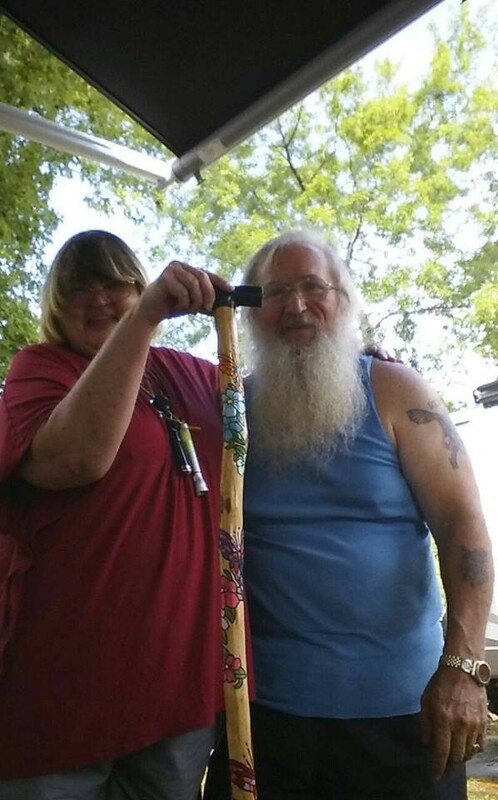 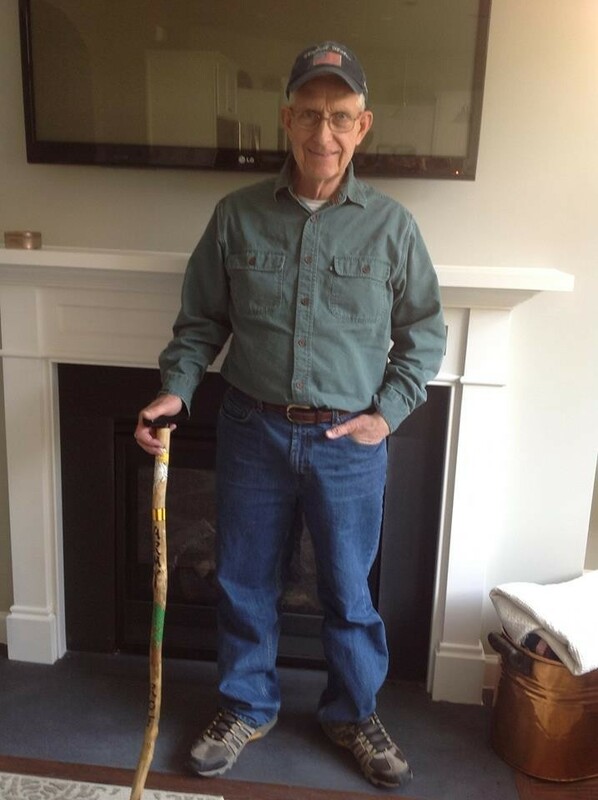 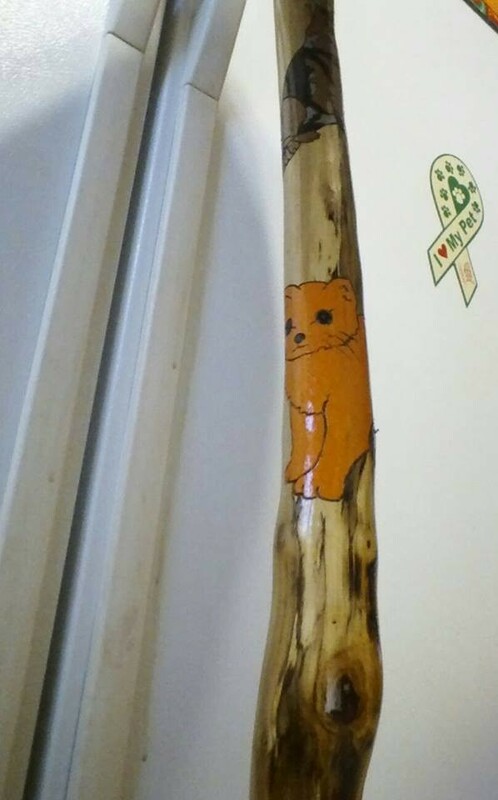 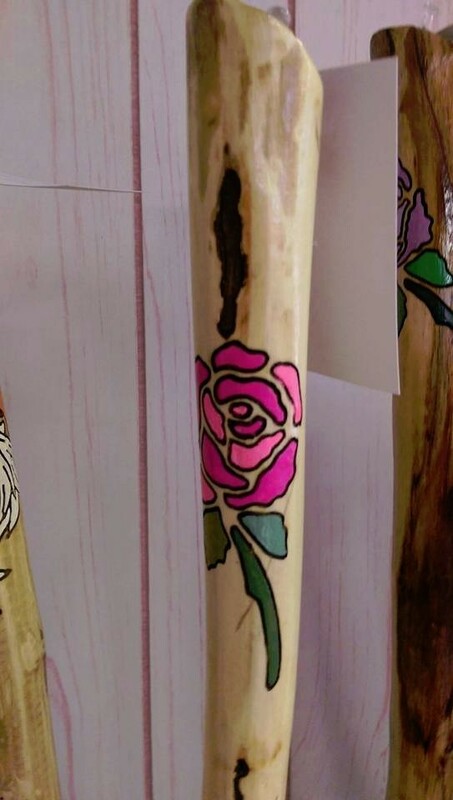 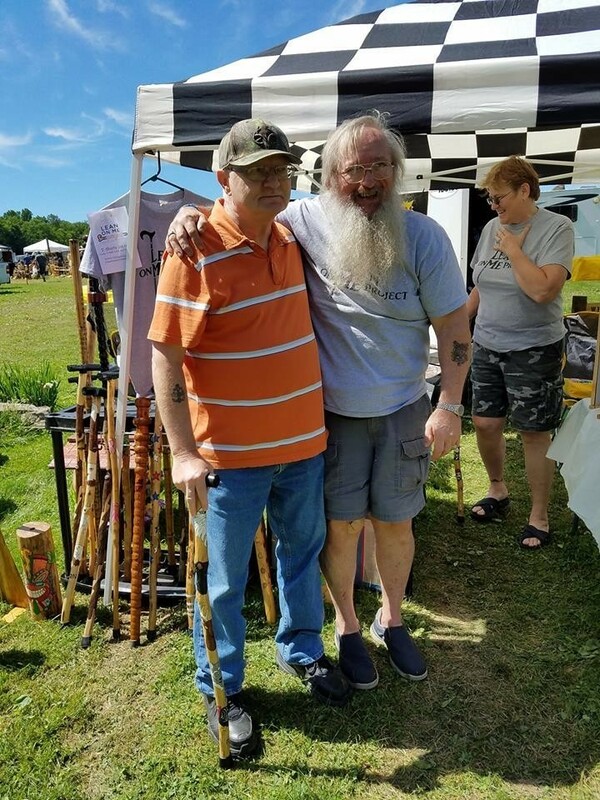 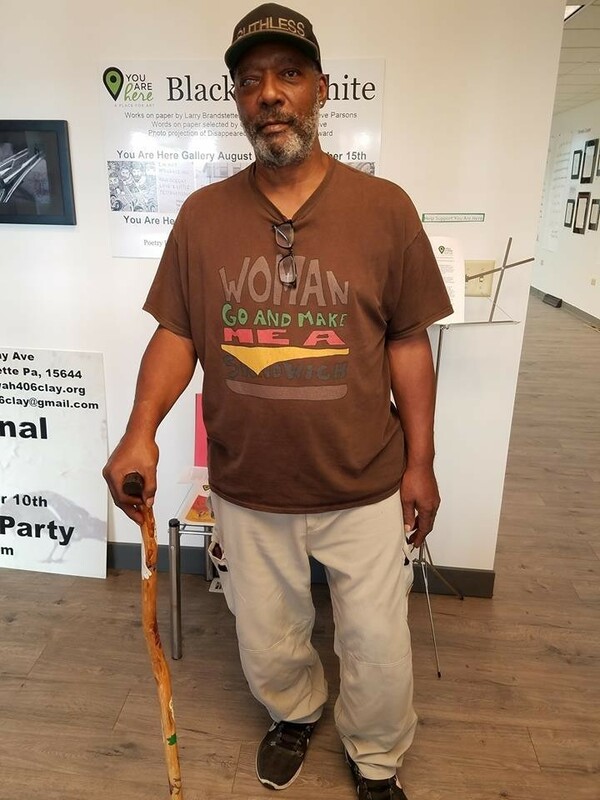 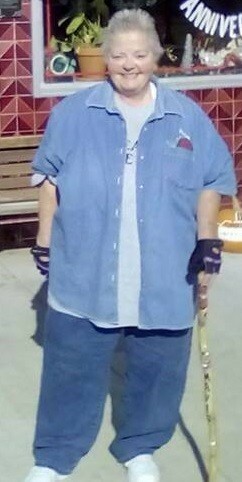 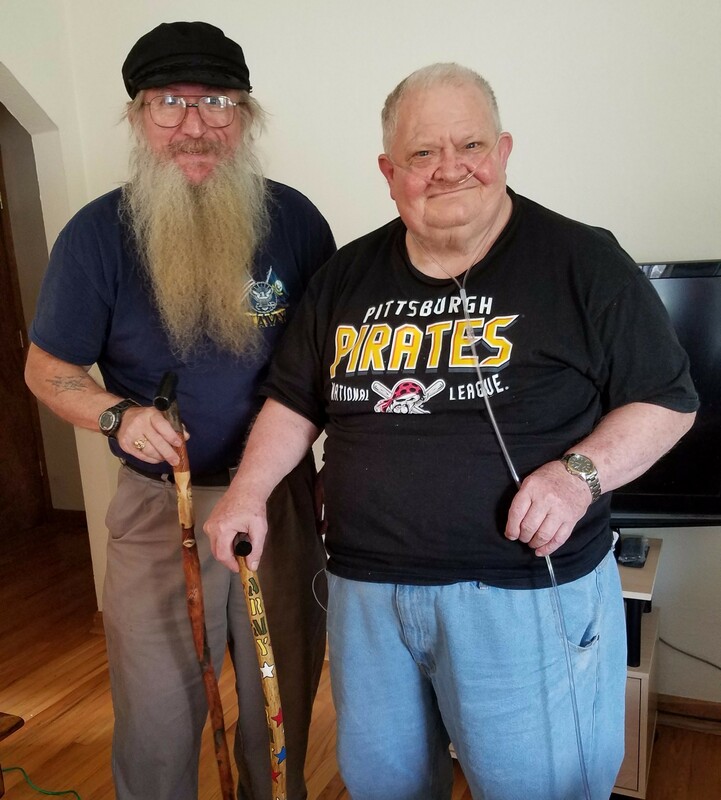 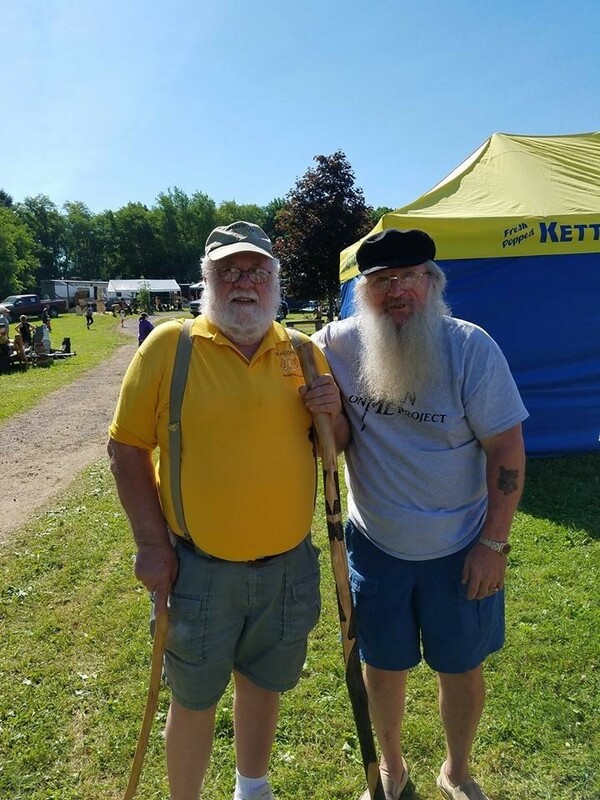 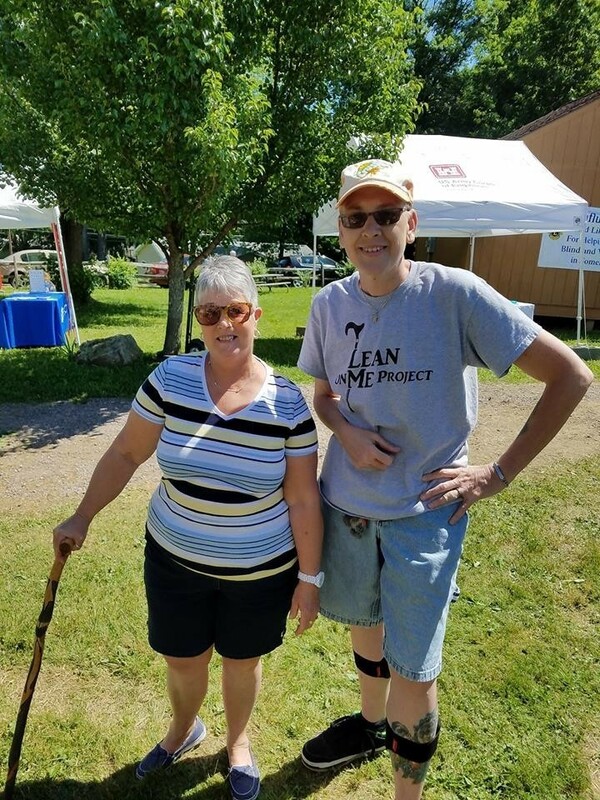 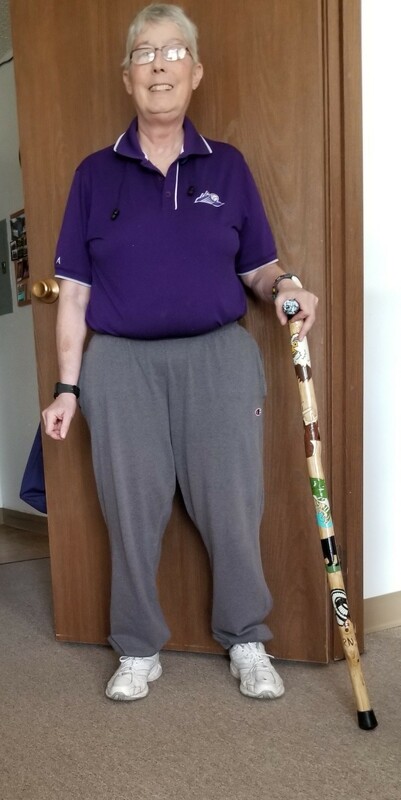 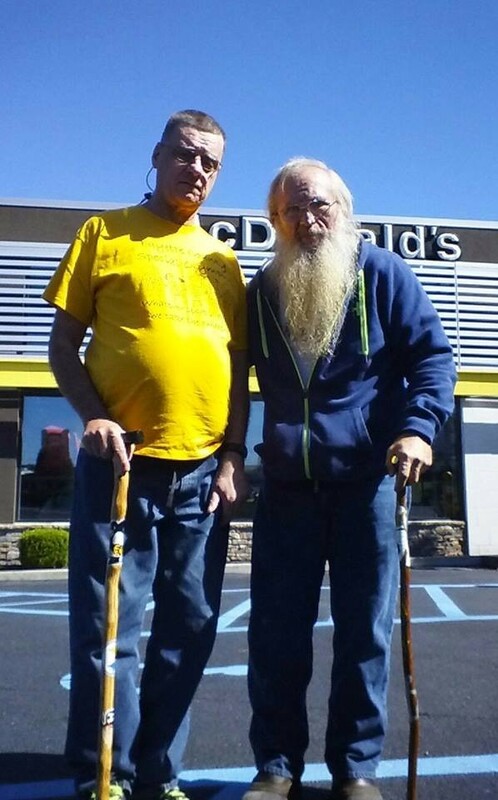 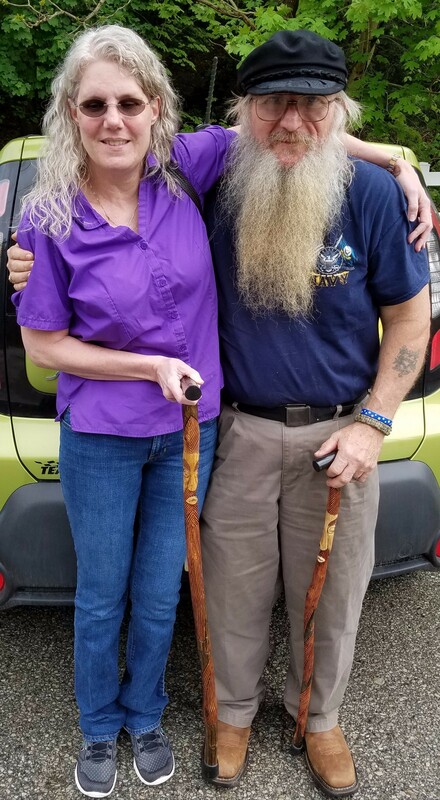 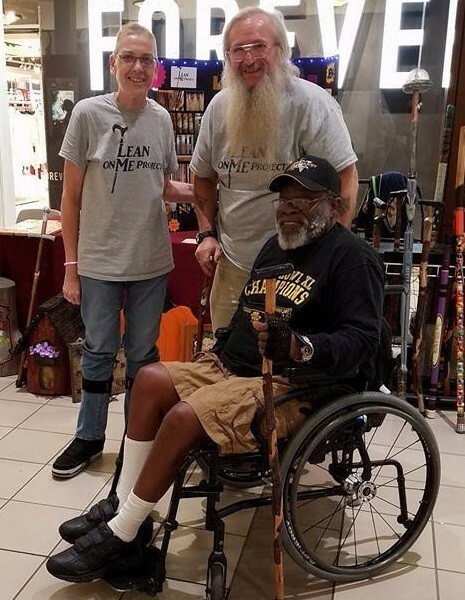 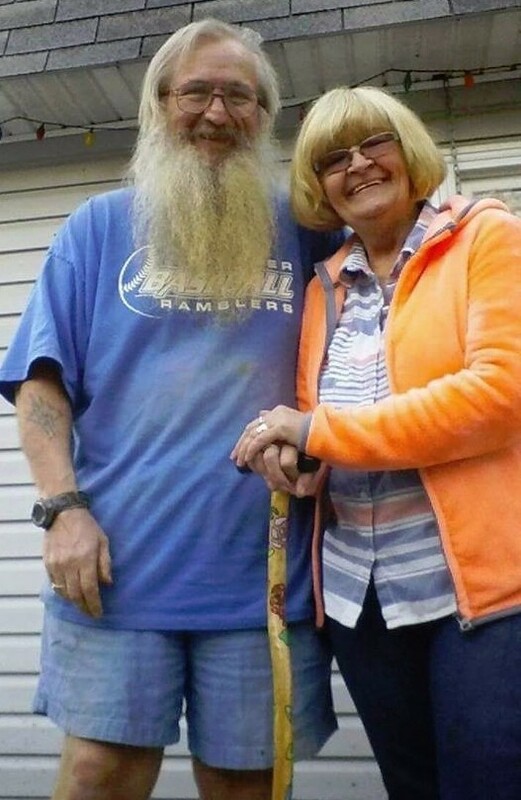 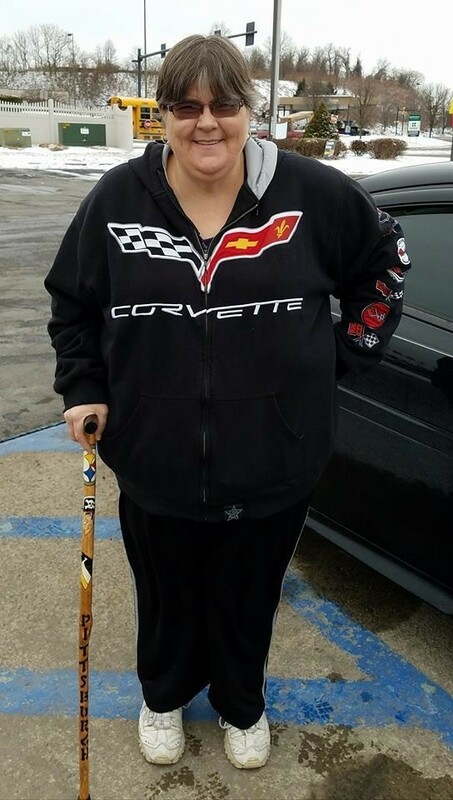 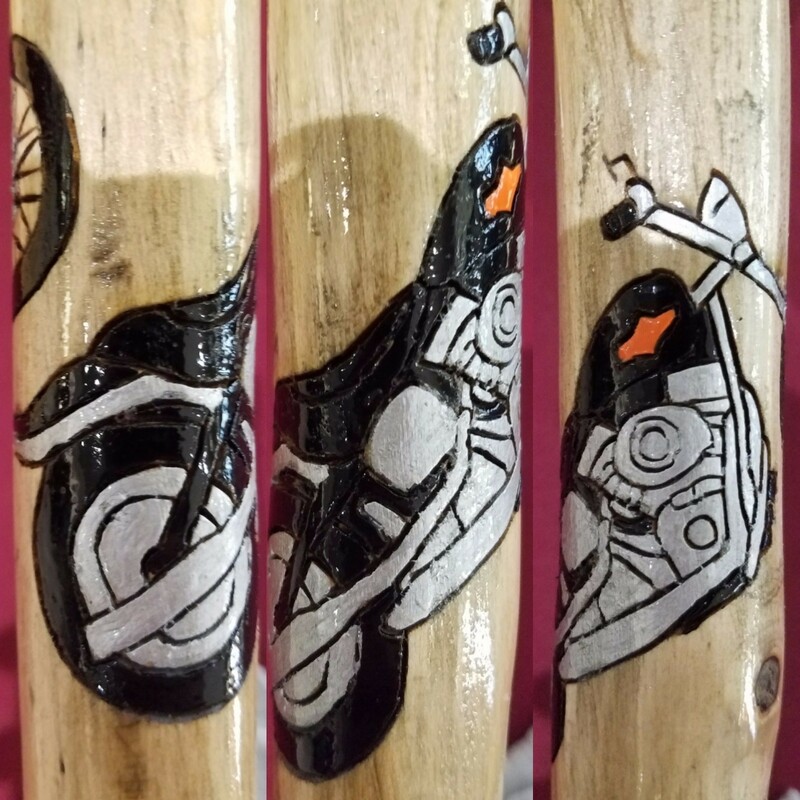 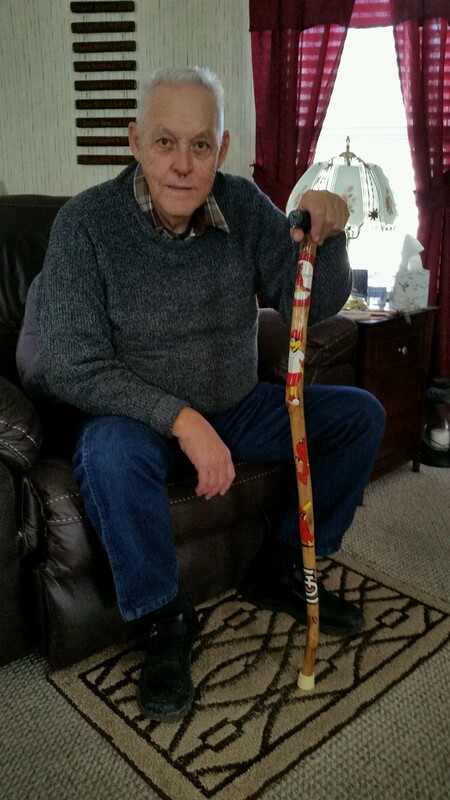 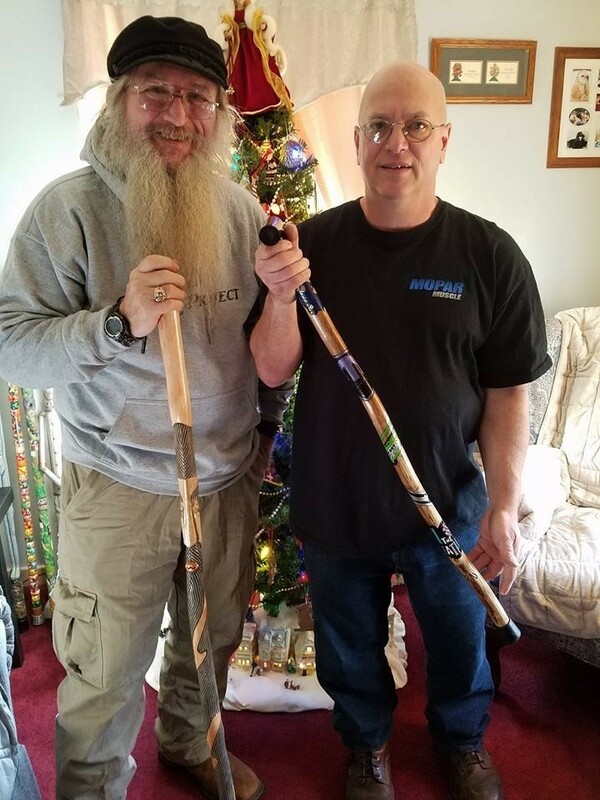 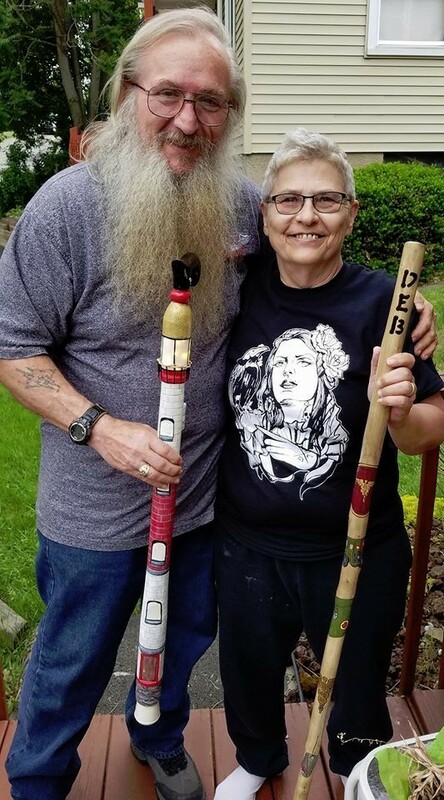 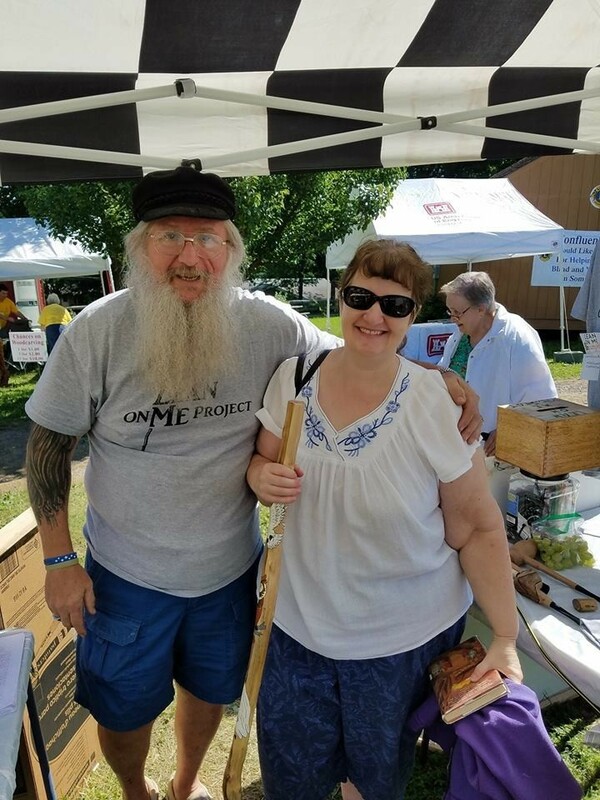 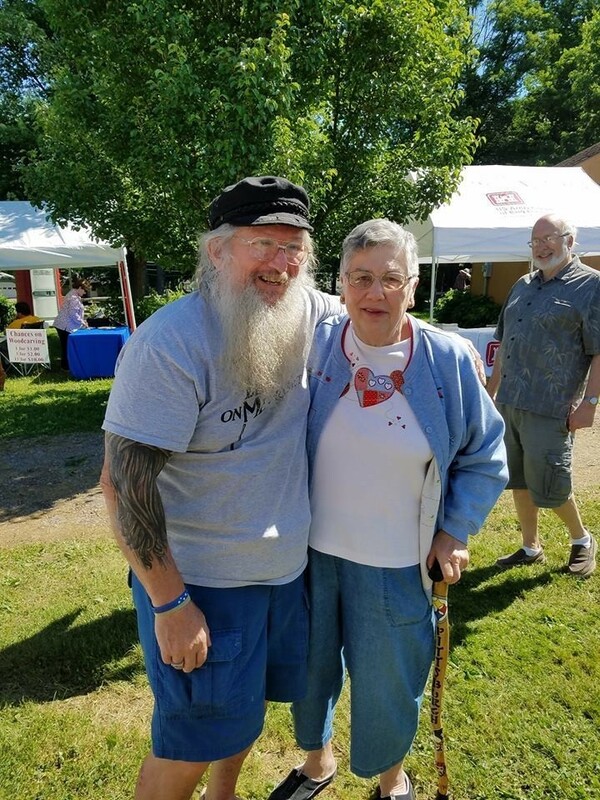 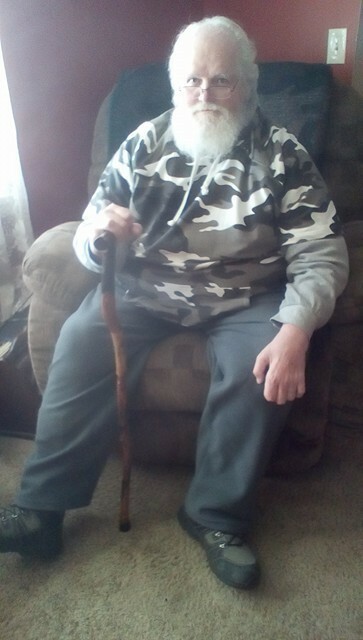 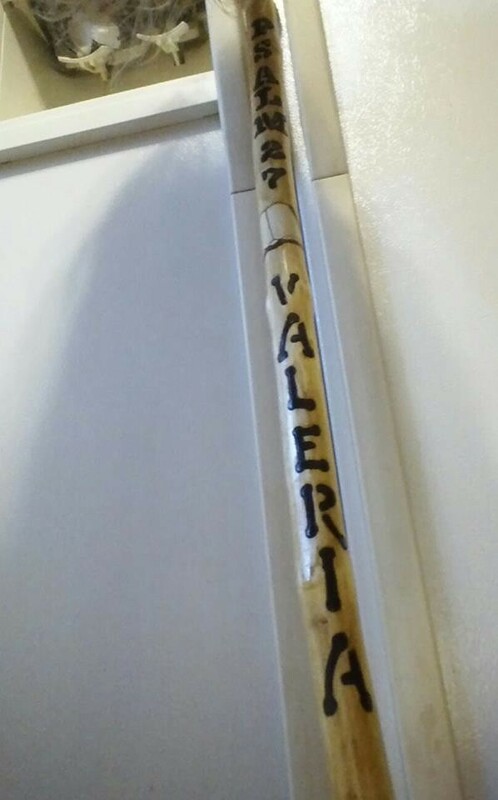 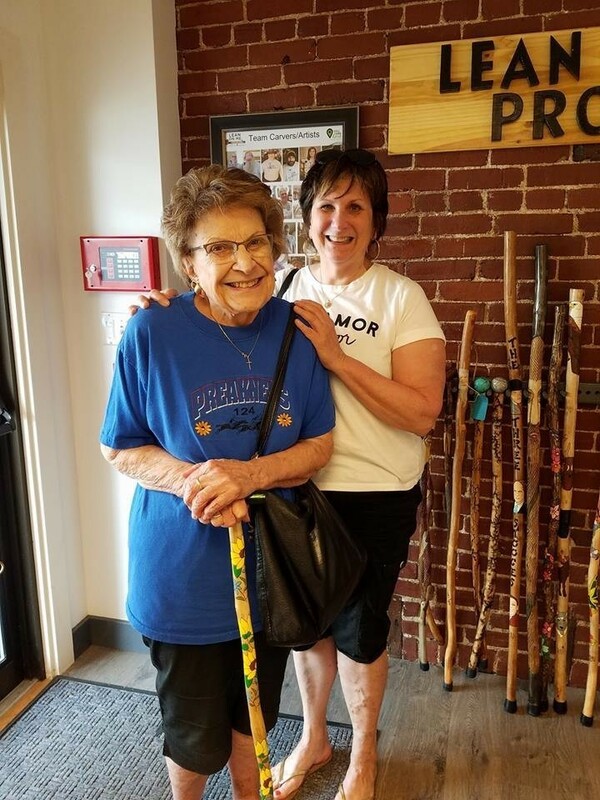 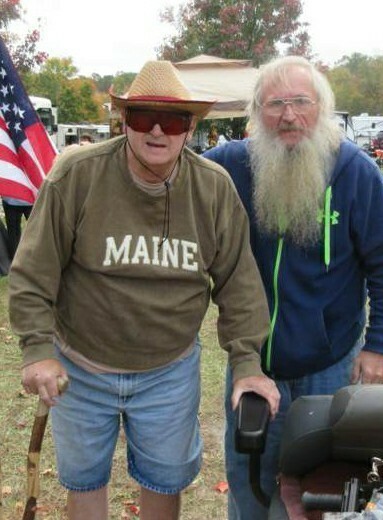 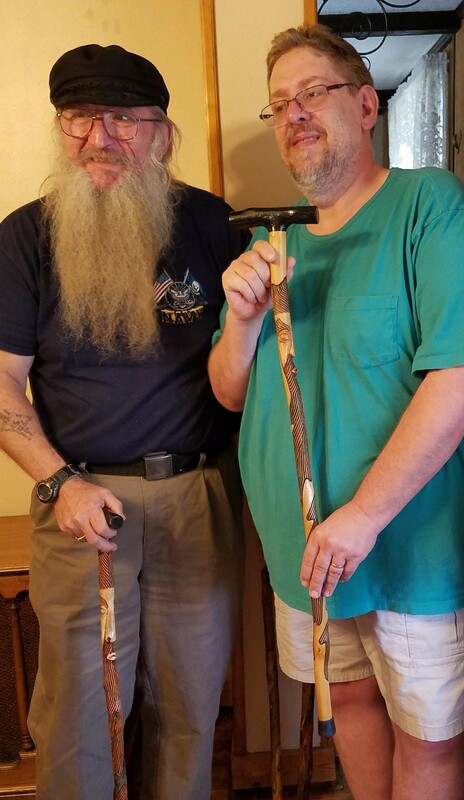 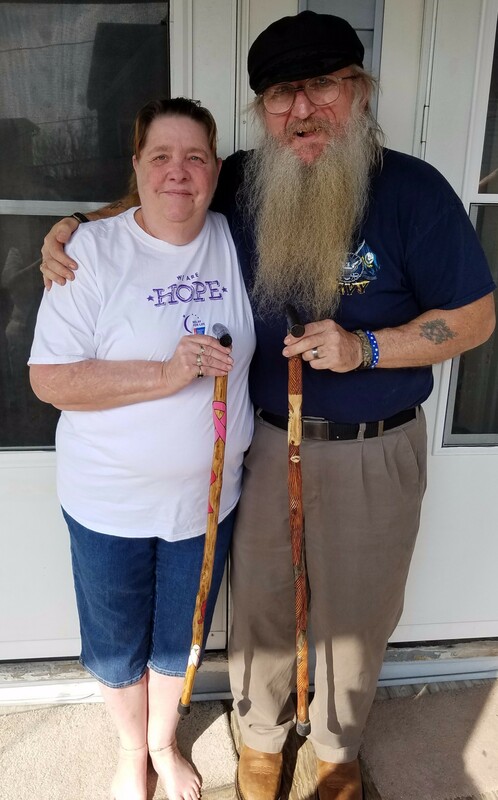 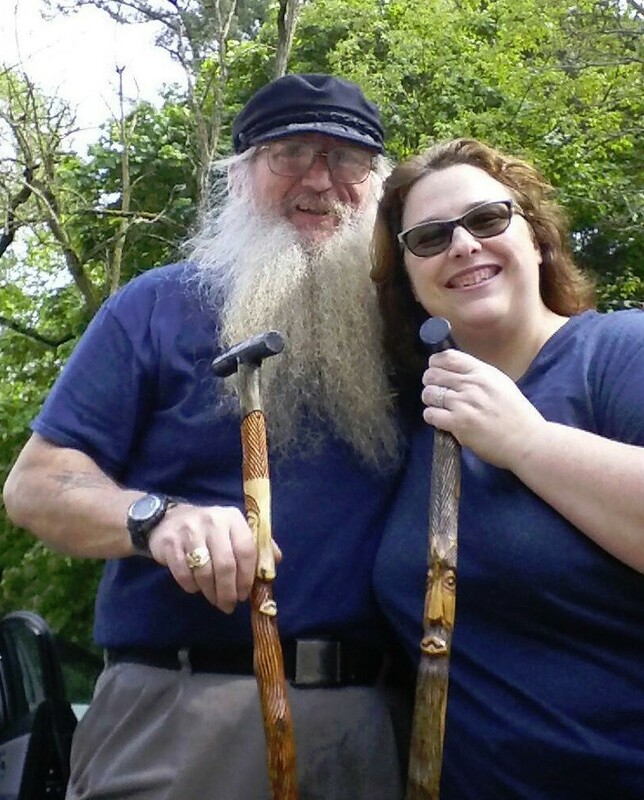 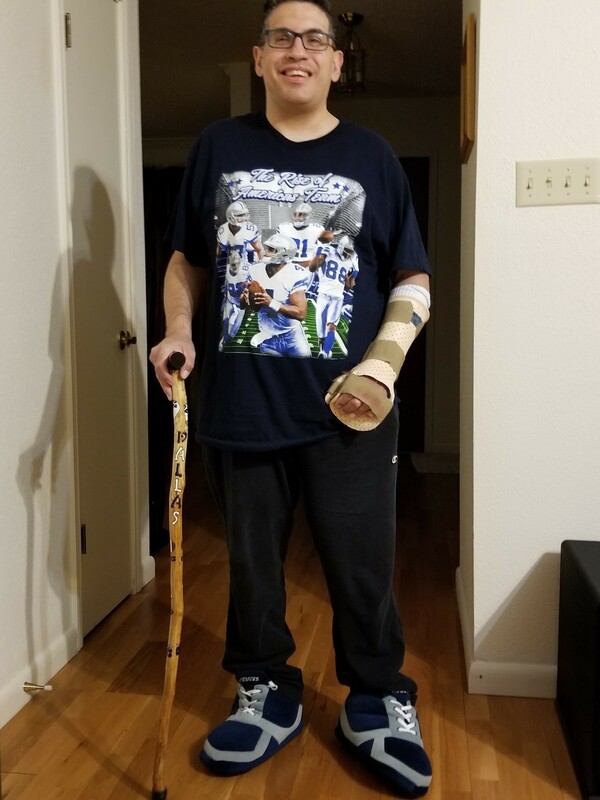 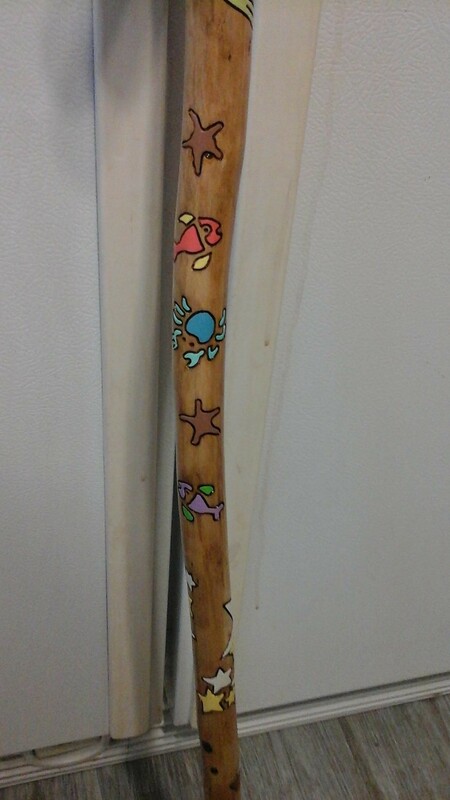 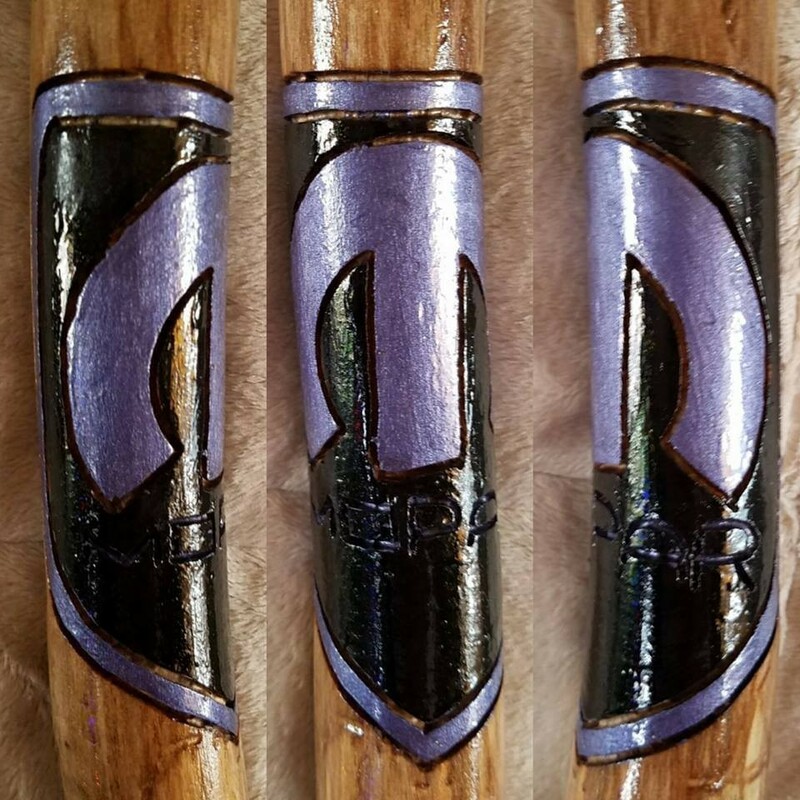 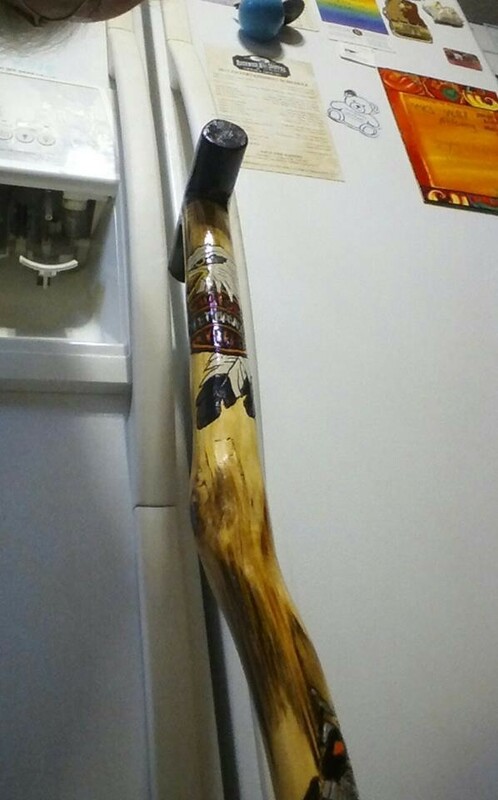 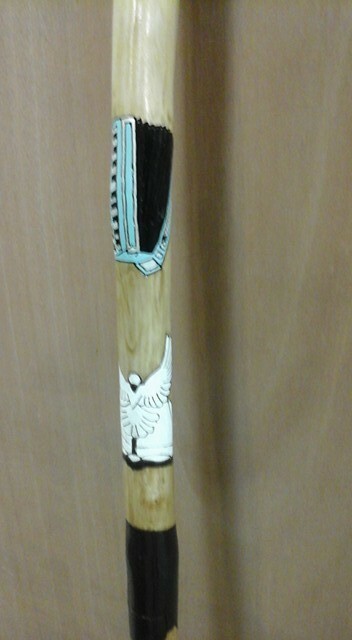 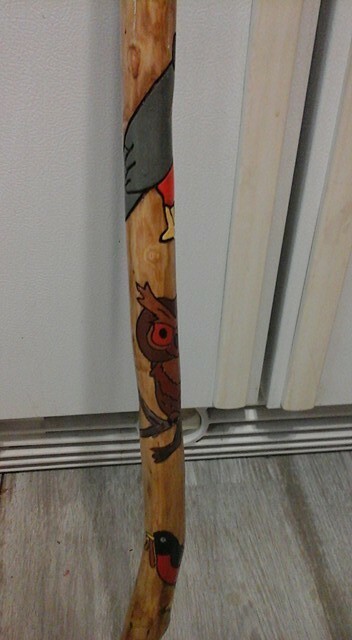 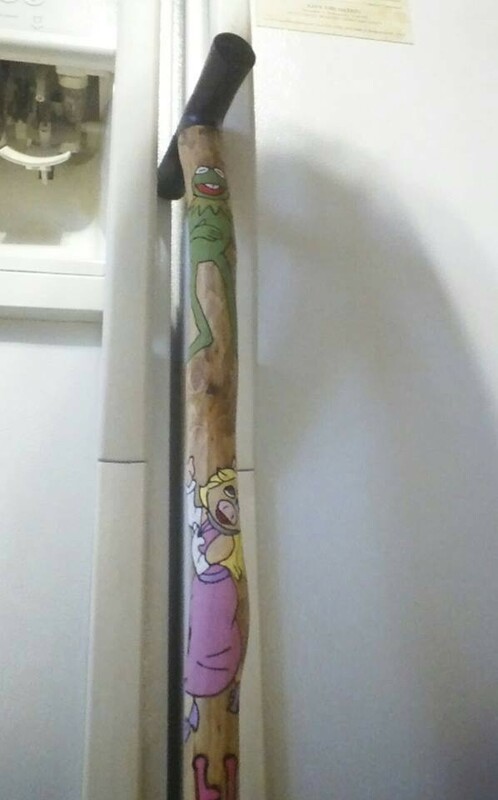 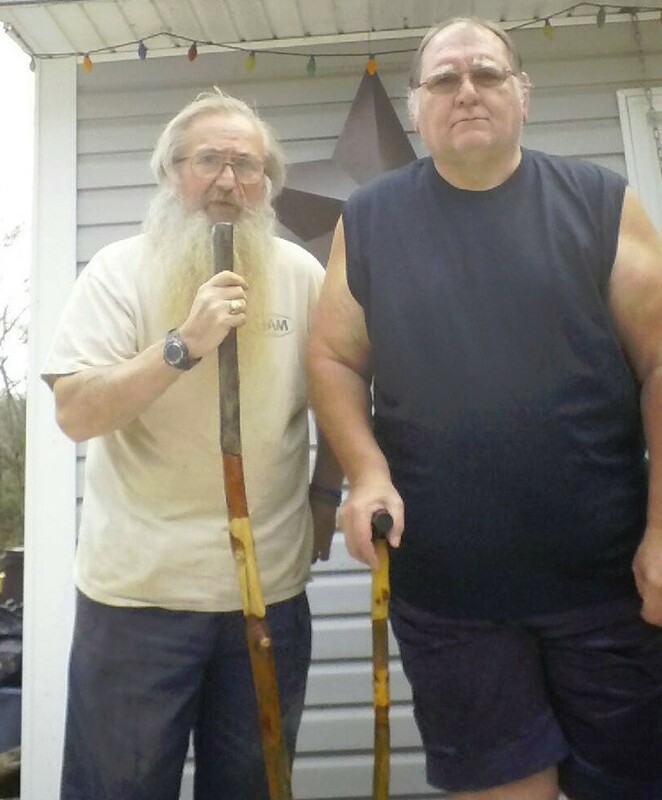 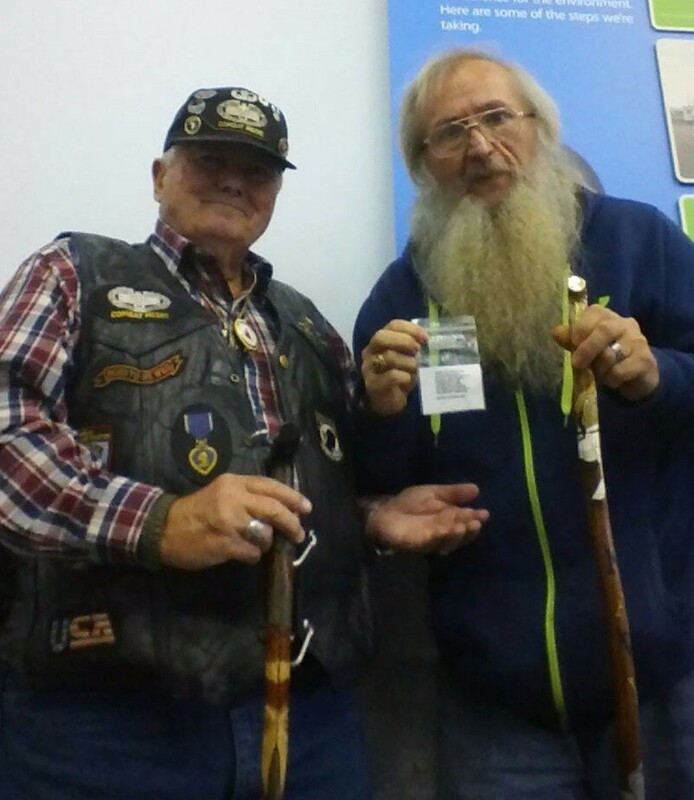 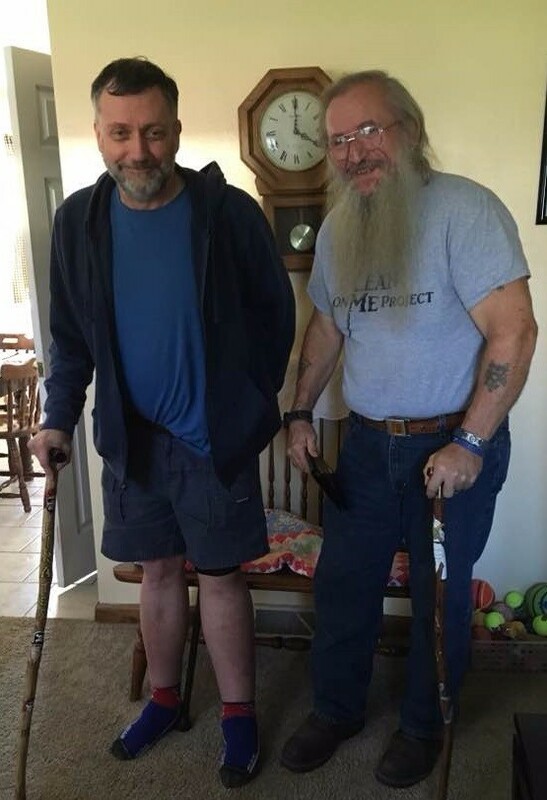 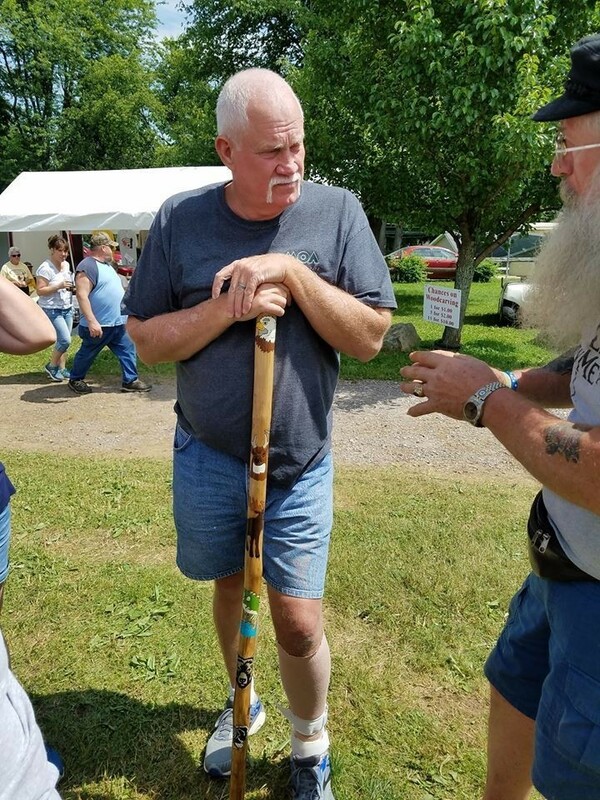 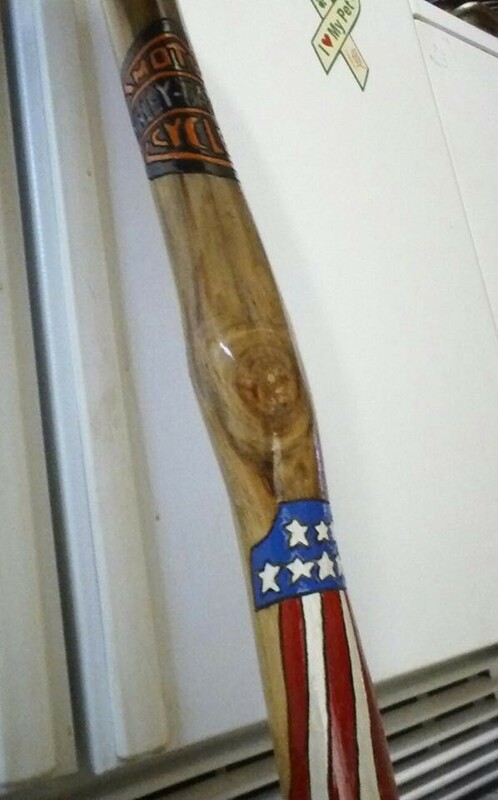 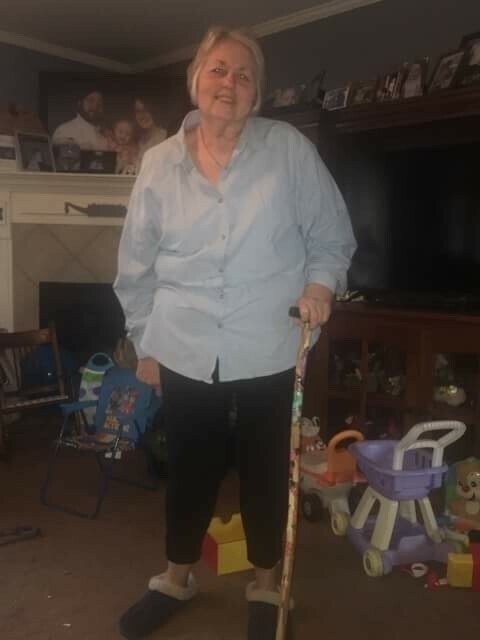 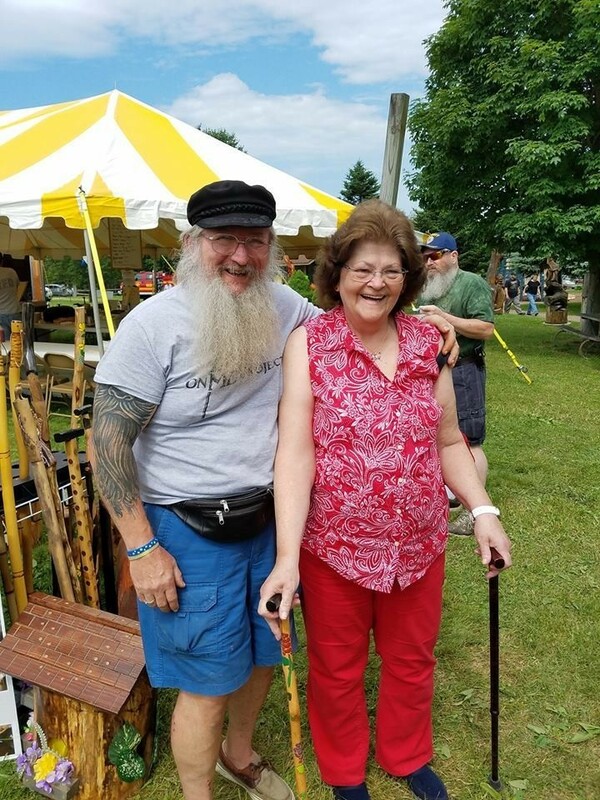 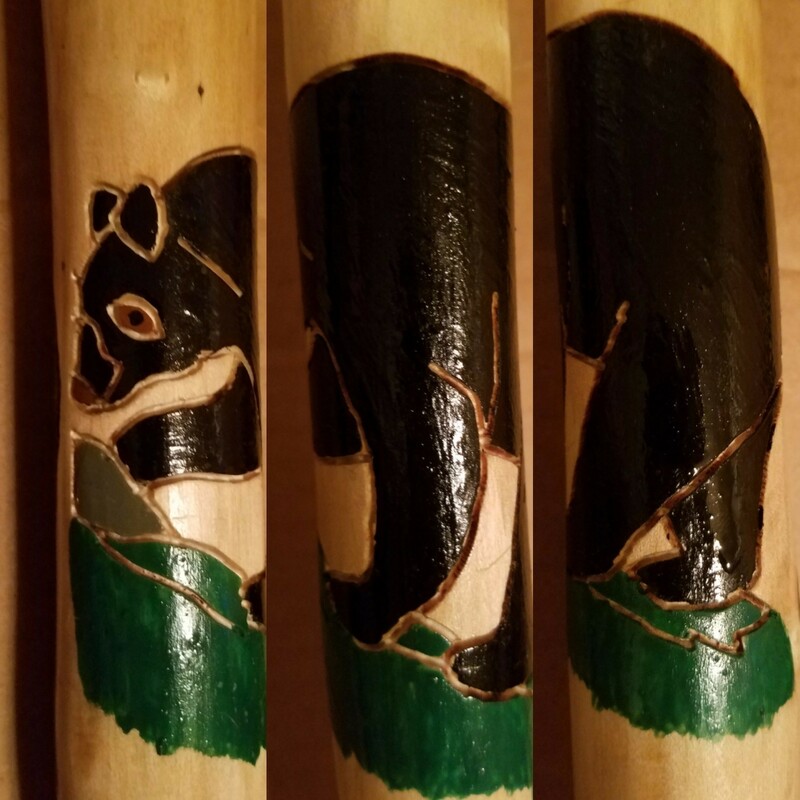 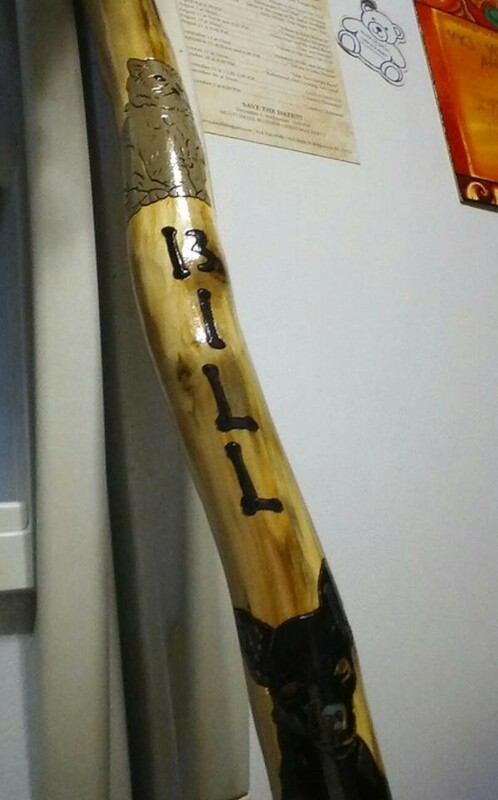 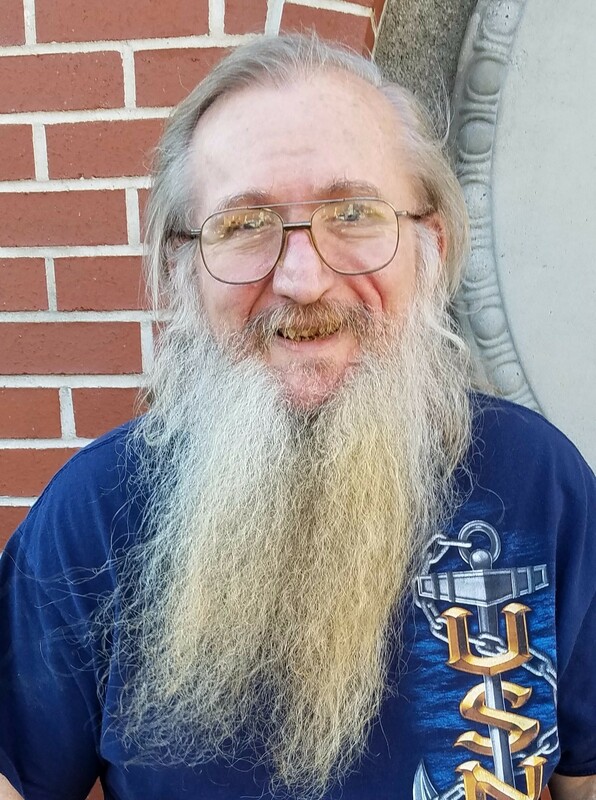 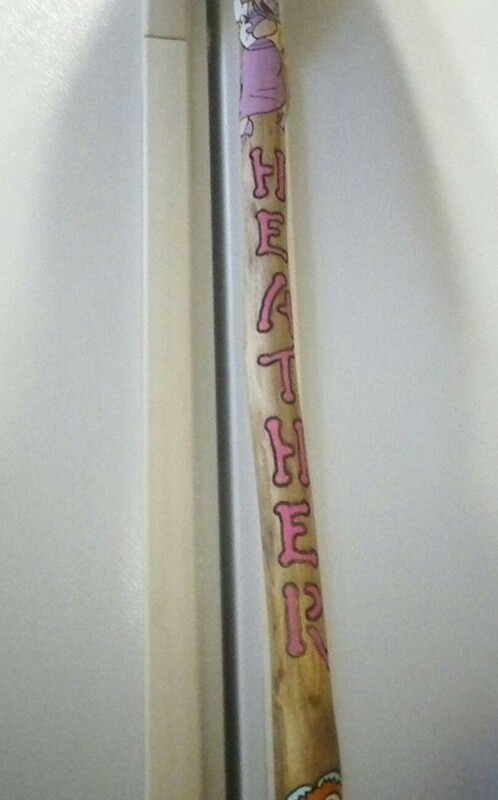 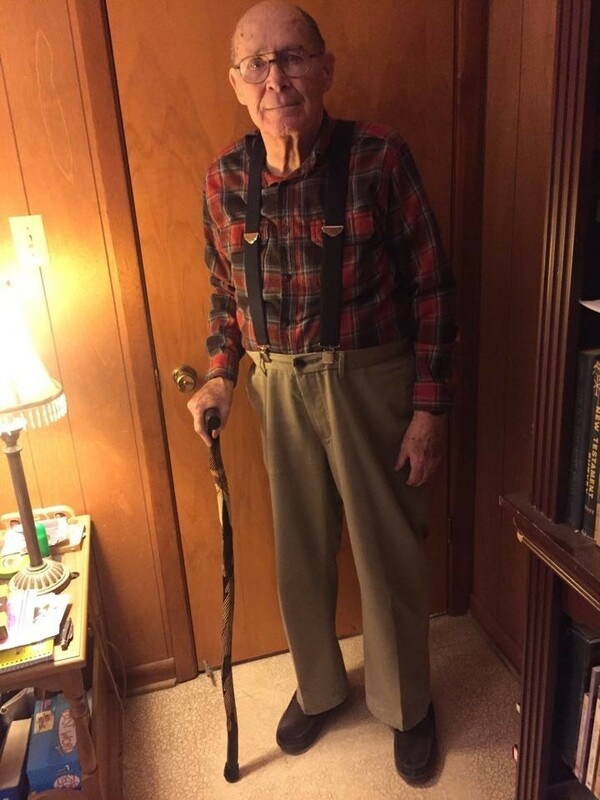 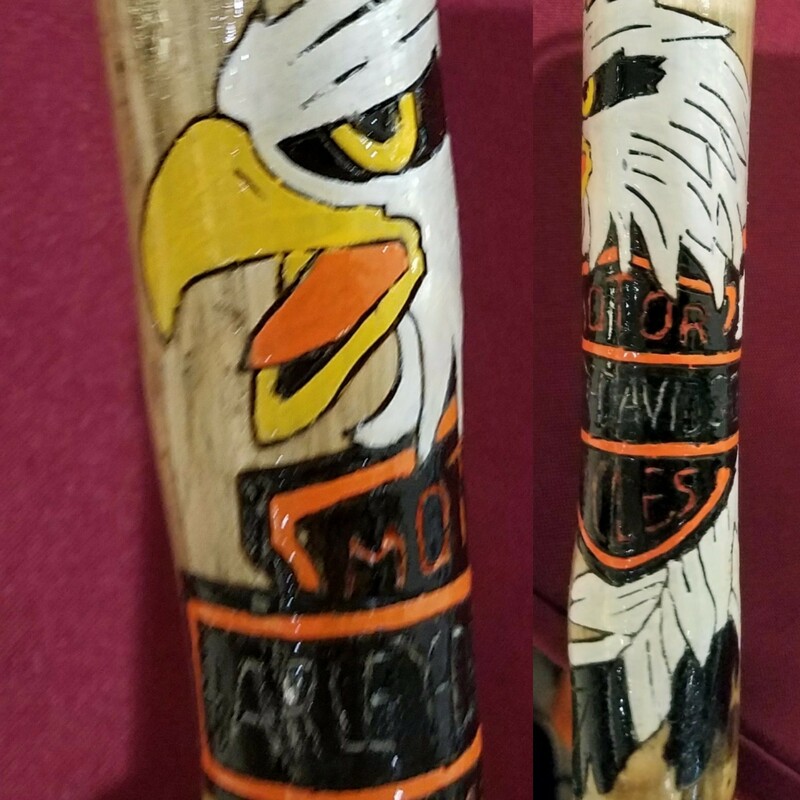 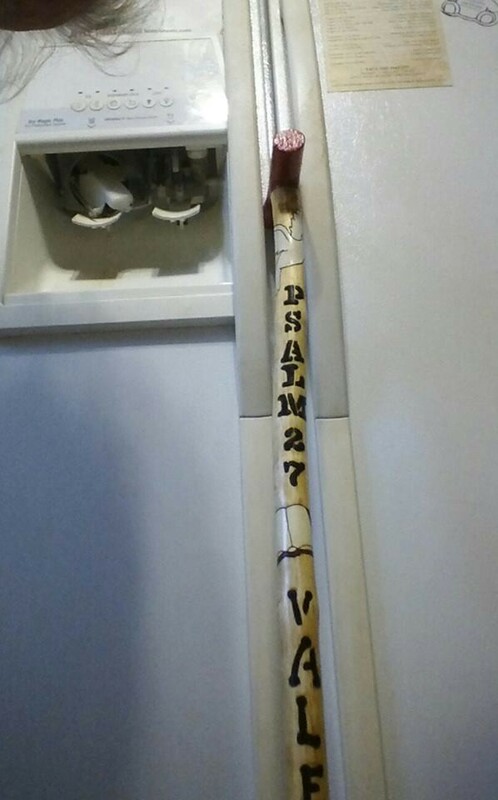 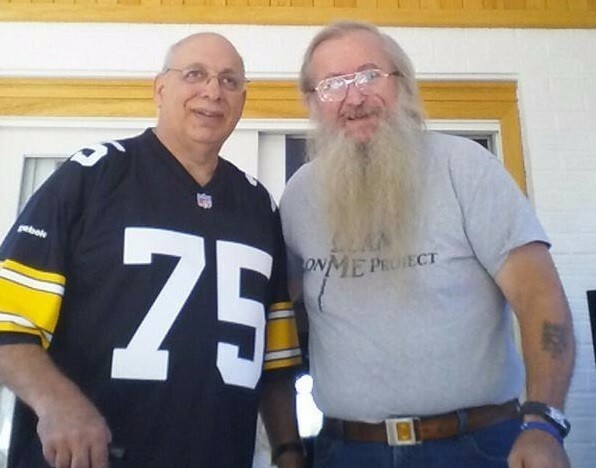 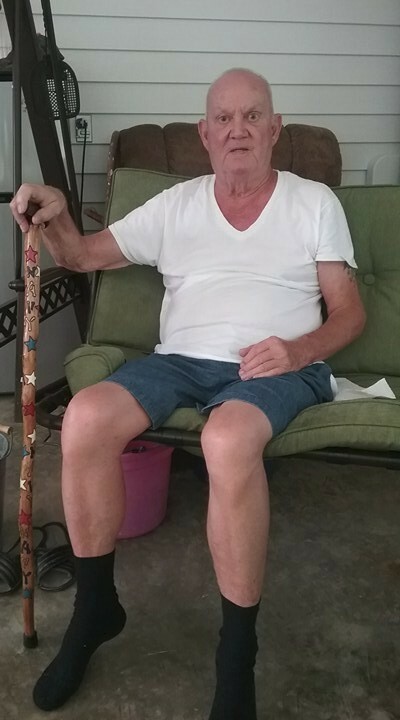 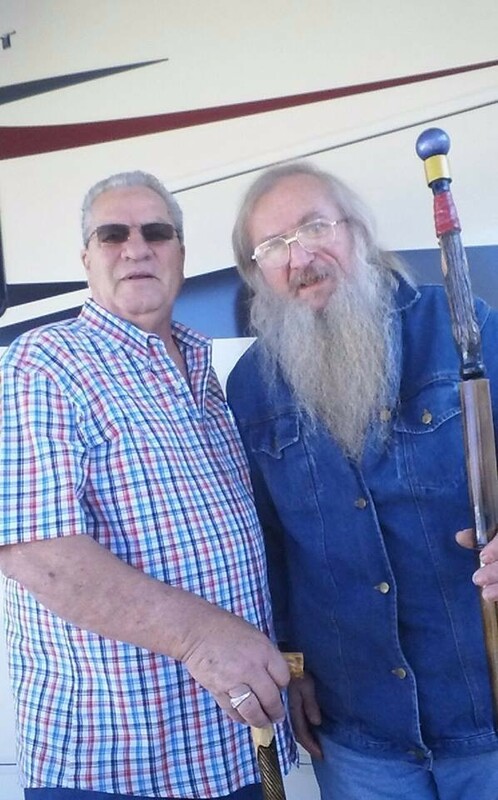 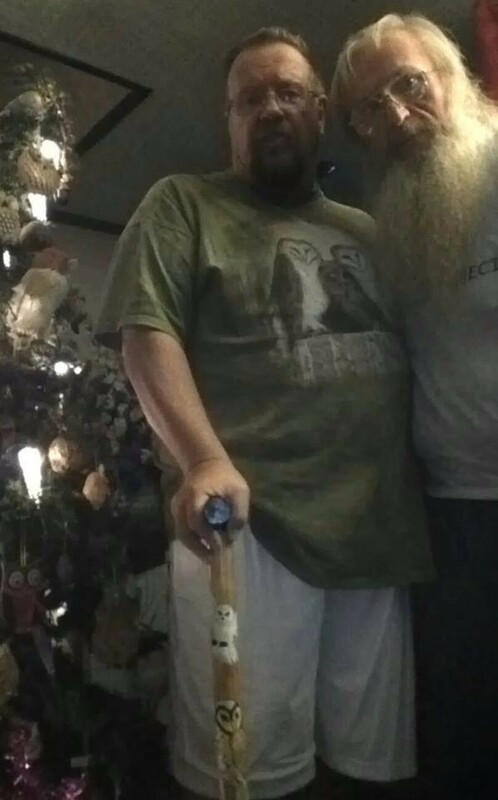 Mary comment after receiving a cane from Richard Naugle, "Jen...I am so pleased with my cane. 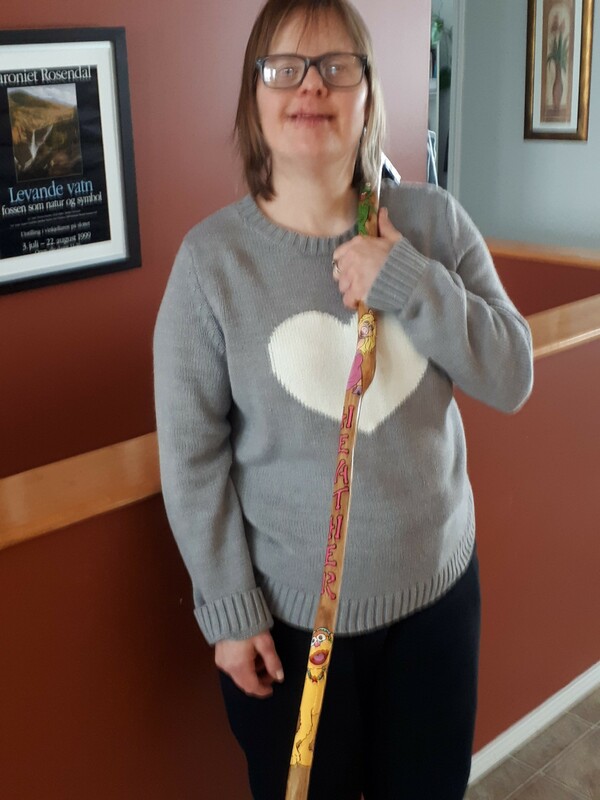 Thank you to you and your group. 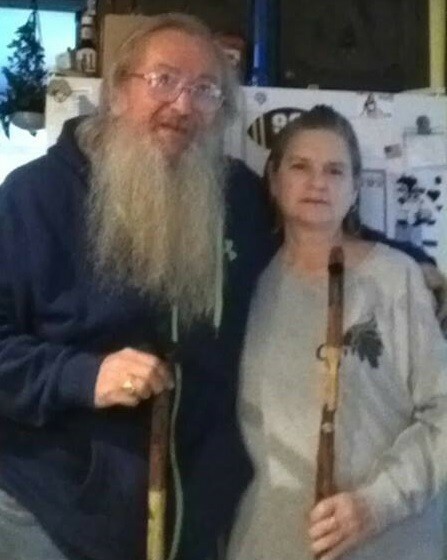 May you all be blessed for your love and sharing. 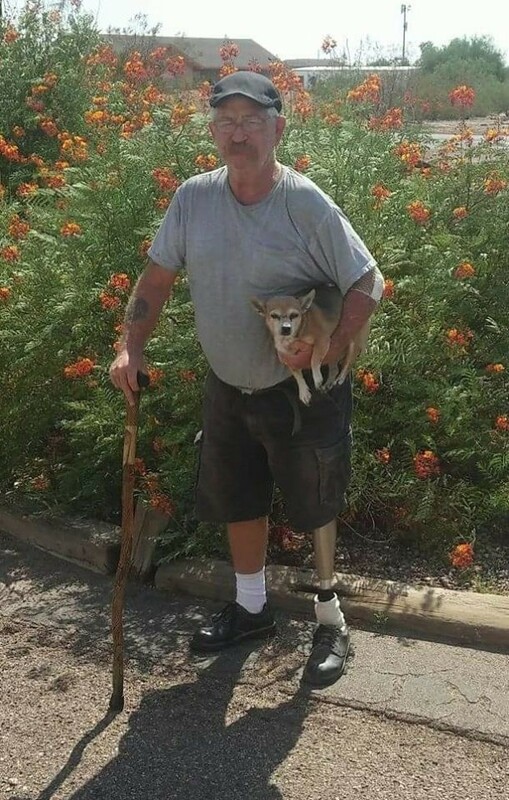 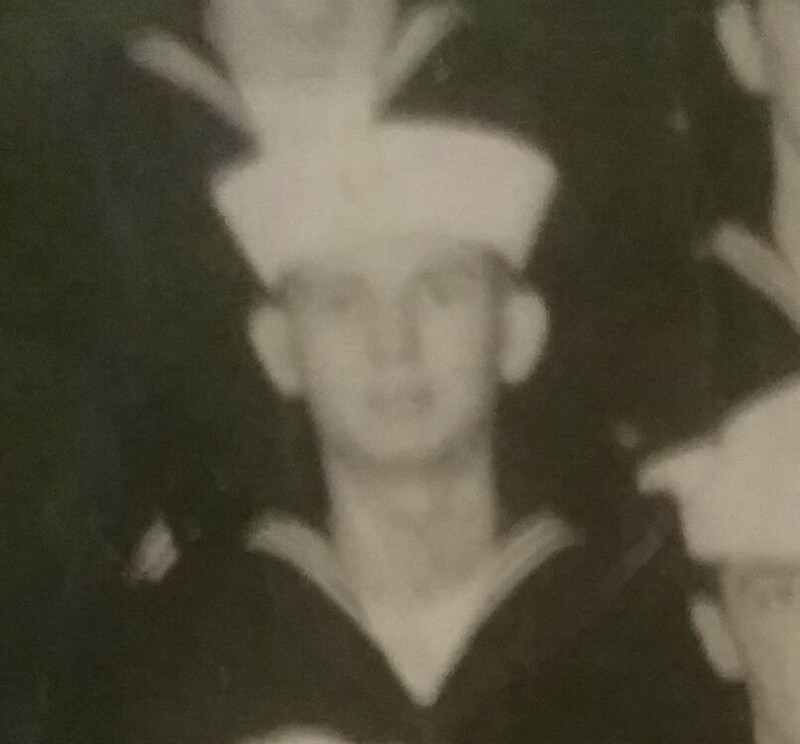 Richard, I can't thank you enough. 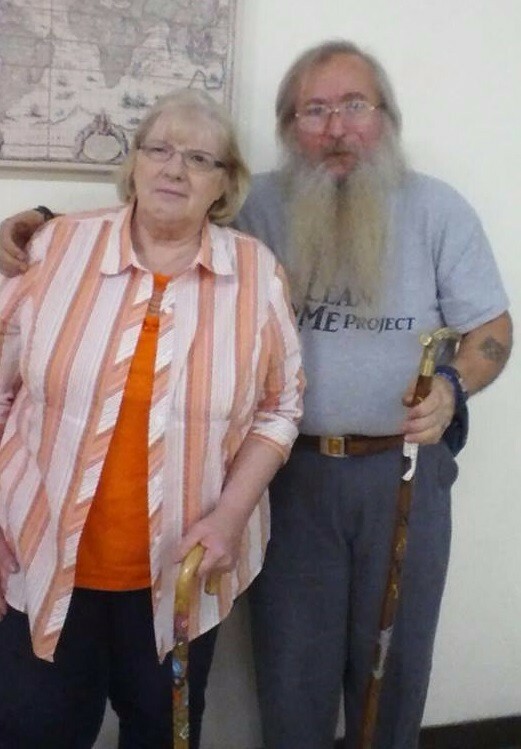 Great to meet you all." 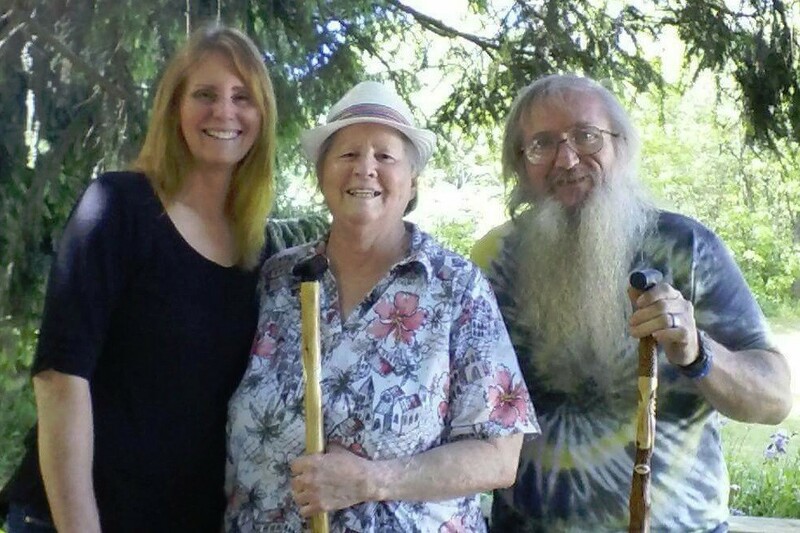 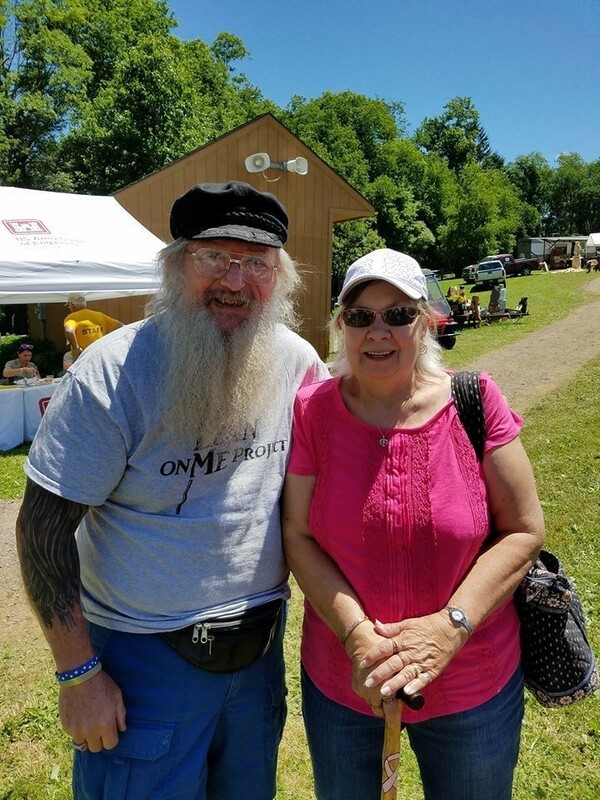 The lady on the left is her sister Suzie that requested the cane. 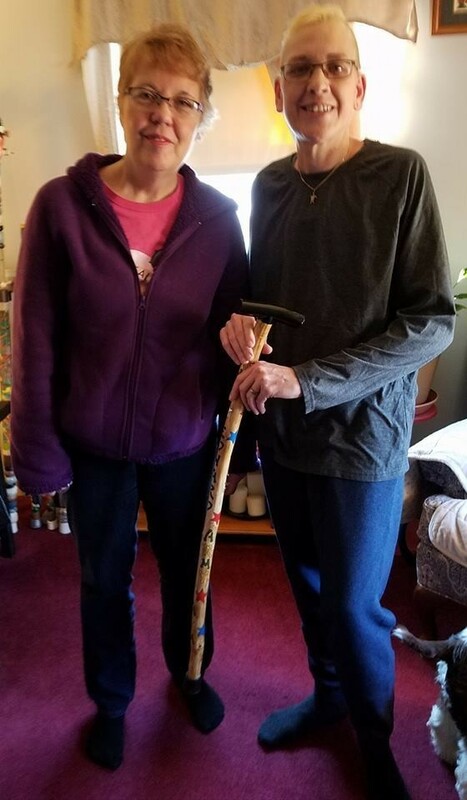 Bill Proznik West Newton Pa.